Yes, outlet malls are a bargain hunter's paradise. But not all of the deals are created equal. While retailers traditionally sell leftover and off-season merchandise at the outlets, a growing number are producing cheaper quality goods to sell exclusively at these locations, said Marshal Cohen, chief retail industry analyst at NPD Group. These items may be made of cotton instead of linen, for example. Check the labels: Look out for tiny symbols on the label. That's usually a sign that the item was manufactured directly for the outlet location. J. Crew, for example, marks the label of made-for-outlet goods with two small diamonds. Hit the clearance racks: In most cases, be skeptical of any item that the store has in a wide stock variety, Cohen said. 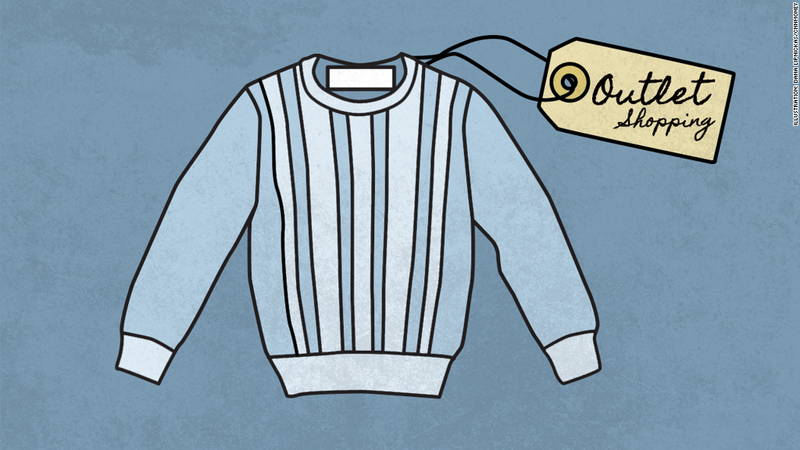 To find the deepest discounts, look for lone items hidden on the clearance racks near the back of the store. Shop at off-times: The Better Business Bureau recommends hitting the outlets early in the day since the best merchandise can move quickly. It also advises shopping at the end of seasons, like March and August, when leftover inventory is brought from retail stores.